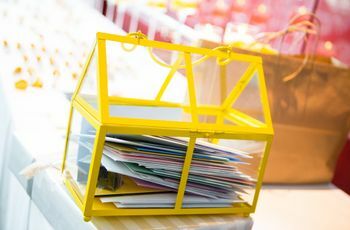 Wedding Guest List 101 | Wedding Ideas ARE YOU A VENDOR? Making your wedding guest list is one of the first wedding tasks you’ll need to tackle. Narrowing down who will receive an invite can be tricky business, so we’re helping take the guesswork out of it. This crash course will teach you all the essentials, from who to nix from your list to how long it should actually be. This is wedding guest list 101. What do I need to know before I start making my wedding guest list? 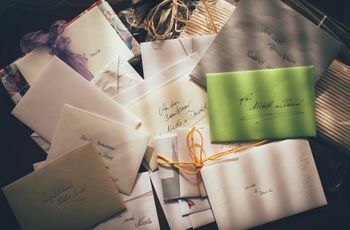 Your wedding guest list is actually one of the first wedding related tasks you’ll tackle, so you don’t need to have much in the works so far as planning is concerned. We suggest having an idea of the size, wedding budget and style of wedding you want (more on that later) before you start, but you don’t need much else. Who should be involved in making our wedding guest list? The two of you should have the final say when it comes to who’s invited to your wedding. However, if your parents (or a generous friend) are hosting or footing the bill for your celebration, you will want to take their opinion(s) into consideration. How many guests is normal for a wedding? This depends on the size and style of wedding you want. If you’re dreaming of an intimate celebration where you can mix and mingle with every guest, keep it under 100. If you’re down to throw a big party with tons of energy, go for something bigger. Note that larger weddings are usually more expensive, so if you’ve got a small budget you may want to scale back the guest list a bit. Who should be invited to a wedding? 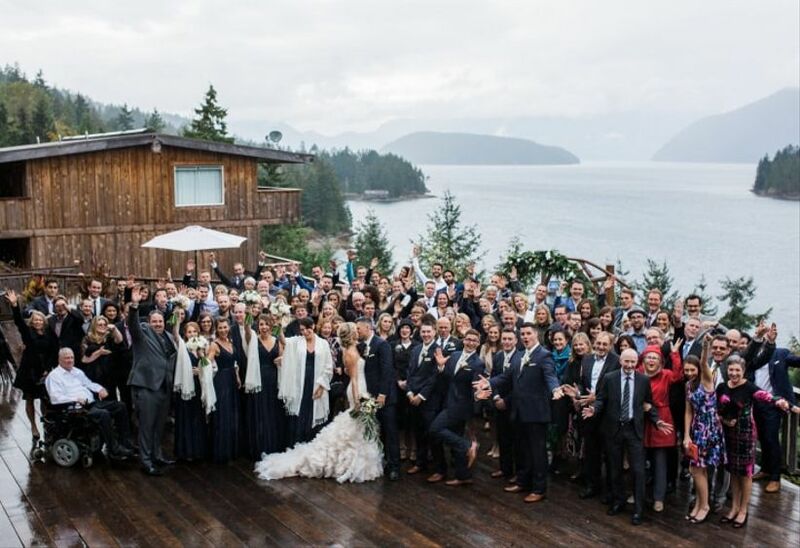 Everyone who you want in attendance on your big day, obviously. If you’re going the small wedding route, stick to your inner circle and close family members. 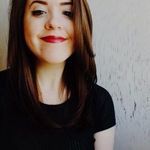 Alternatively, if you’re planning a larger event, you can go ahead and add more distant relatives, coworkers and friends who you aren’t as tight with. Don’t forget to factor in plus ones if you’re including them - they’ll affect your final head count! How many people can we expect not to come to our wedding? Typically 80 to 90 percent of people invited will say “yes” when they RSVP to your wedding, so you should invite 10 to 20 percent more people than your target wedding guest count. For a destination wedding the attendance rate is more like 50 percent on average, however, this depends on many variables such as location, travel costs and wedding date, so you'll need to plan accordingly. 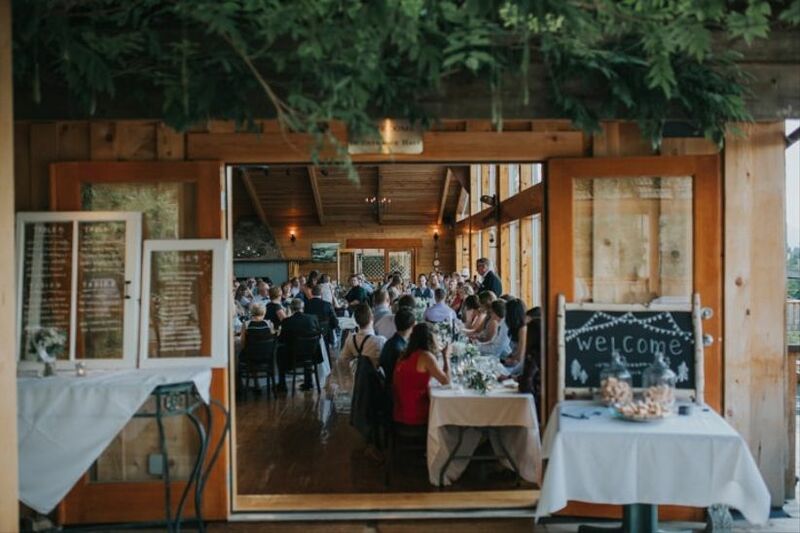 A weekday wedding will also typically garner a lower attendance rate. You may be able to play these latter scenarios to your favour if you want to save money or have a smaller wedding. Pro tip: sending out save the date cards six months to year before your wedding will help ensure more guests can make it. Are there any people we shouldn’t include on our wedding guest list? Don’t make room on your guest list for people who bring negativity into your life. You want your wedding day to be happy and drama-free from start to finish, so leave exes, Debby Downers and frenemies out of the equation. P.S. We made this list of explaining exactly who to omit from your guest list, if you need any help. When should we have our wedding guest list finalized? ASAP! Why? 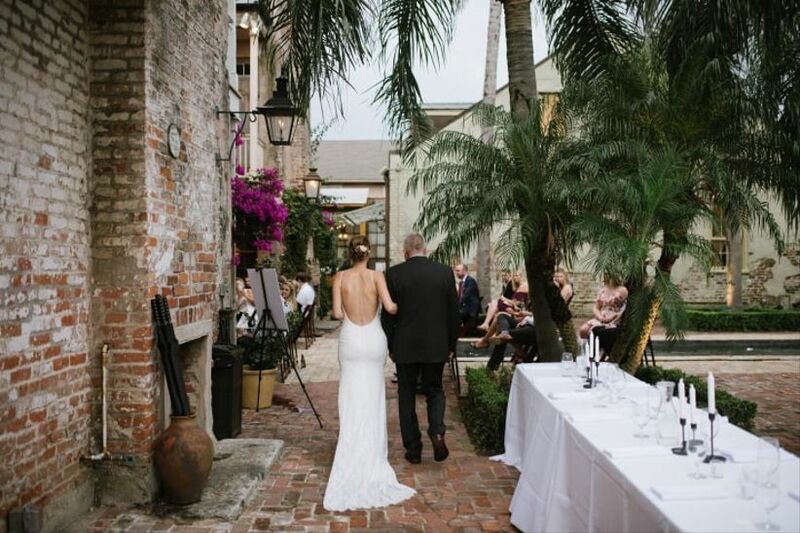 Because you’ll need to have your guest list set in stone before you move forward with most of your wedding planning. 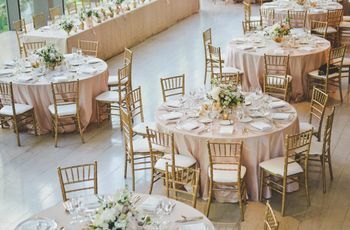 The number of guests you settle on will determine the size of wedding venue you choose, what you’ll serve for dinner, wedding stationery quantities, how much you spend on rentals and more, so it’s essential to get it done early. While there’s no specific rule, six months to a year in advance of your wedding is a good estimate.